When deciding which MEP add-ins to purchase for Autodesk Revit®, keep a lookout for the best Revit MEP plugin features on the market. By selecting a platform with innovative and easy-to-use tools, your team will have the ability to route more efficiently, enabling better BIM workflows and streamlining preconstruction processes. We are sharing four must-have features we are excited about. Four of the best Revit MEP plugin tools available today. You need to route with a tool that edits pipe with simplistic workflows. During coordination, you edit your model regularly – relocating, resizing and rotating systems throughout your mechanical room. To make this process easier, look for the best Revit MEP plugin tools that allow for these changes to be made in a single click, as well as to an entire selection of products in your model at the same time. This will enable your team to work through coordination changes quickly and remove bottlenecks in your preconstruction workflows. Imagine never having to copy and paste a selection again! Just drop it into your model with a single click. There are tools on the market today that allow you to save system selections that can then be recalled and used on your next project. If you regularly model in the same pump drop or piping system off of a chiller, you can save that entire selection, dock it in a component bank, and simply place that selection into other projects. Traditional tap placement requires you to use more than one pipe type and multiple views and steps. This can be an extremely cumbersome and time-consuming process. Fortunately, there’s a tool available called Tap Creator that allows you to tap pipe in seconds based upon your predefined presets. This tool is useful for headers and adding taps on equipment and configurations, and it truly enhances routing efficiency throughout an equipment room. Many of the tools available today are great for preconstruction but force you to use secondary software when it’s time to create your fabrication spools. That’s why locating the best Revit MEP plugin tools that are useful at all stages of your project is so important. The Project Maintenance tool brings an entire project template into spooling and fabrication in less than a minute. This same software add-on also allows you to create fabrication spools directly in Autodesk Revit, eliminating the need for secondary fabrication software. For information on where to find the best Revit MEP plugin tools mentioned above, click here. 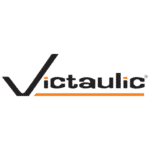 And if you’re just beginning your transition to Revit and would like support, Victaulic is here to help. Contact us today.